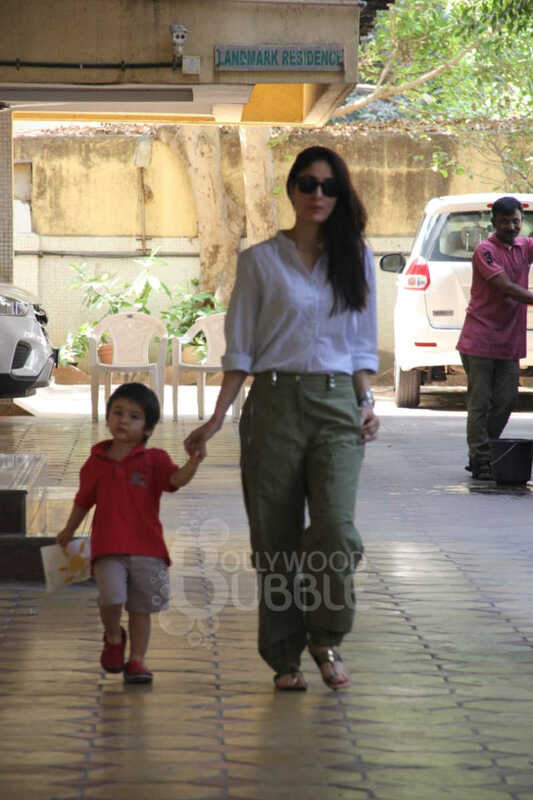 Mommy Kareena Kapoor was snapped picking up her cutie-pie son Taimur from his school. 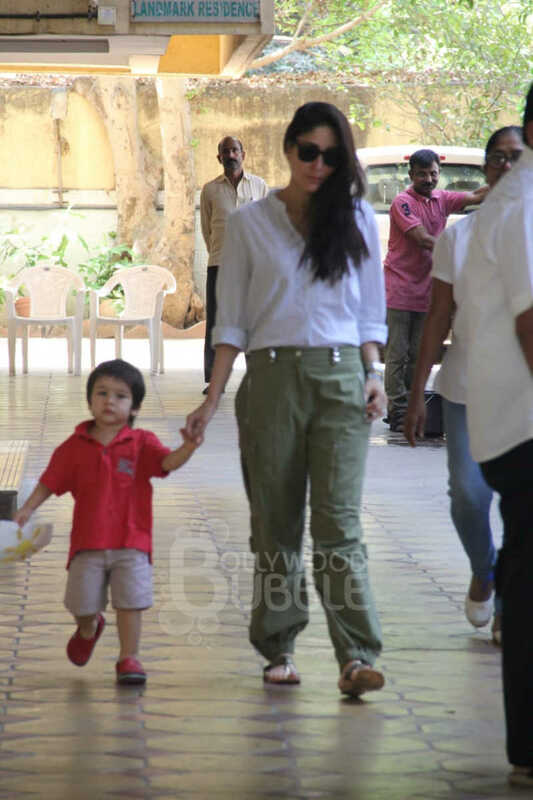 Dressed in a white shirt and baggy jeans, Kareena looked super gorgeous as usual. 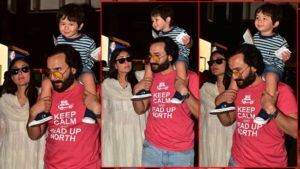 While our adorable baby Taimur was sporting a red t-shirt and shorts. 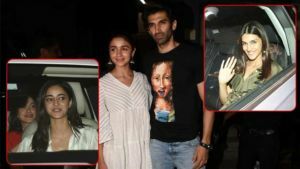 Also, what caught our attention was the lovely painting of sun which Taimur was holding. Looks like our lil Tim is learning to draw. 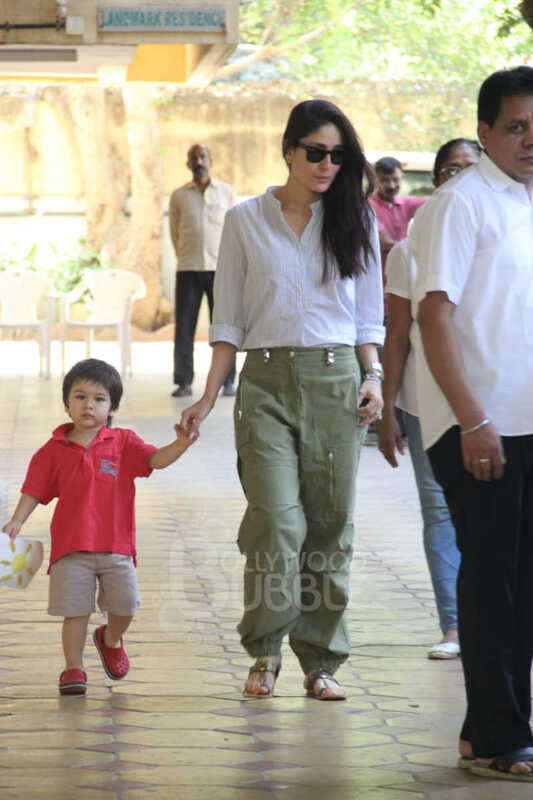 Taimur, who otherwise always greets the paparazzi, was looking a bit confused as mommy Kareena escorted him to their car. 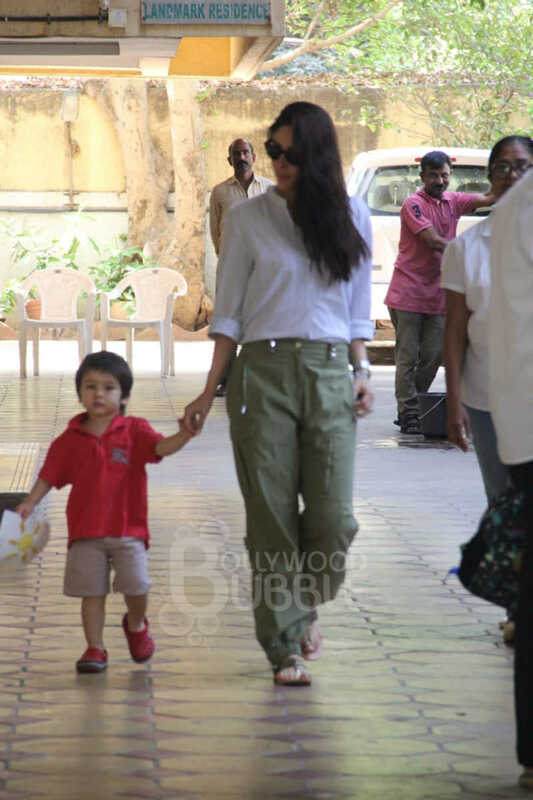 The actress is extremely protective of her son and has always said that she wants him to have a normal childhood.